© Submarine, produced by Femke Wolting & Bruno Felix. Director: Noud Holtman, Camera: Pierre Rezus. From a modernist to a generalist - "Roombeek was a turning point in my career." Pi de Bruijn, the avant-garde architect of the Dutch company De Architekten Cie, is famous for expanding and modernizing public buildings, such as the Concertgebouw in Amsterdam or the Dutch Parliament building in The Hague. He also developed huge urban areas. The big turning point in his career was the rebuilding of the residential area Roombeek in the City of Enschede in the eastern part of the Netherlands. 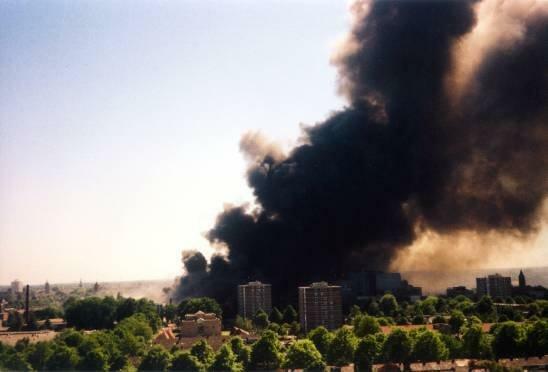 On 13 May 2000, Roombeek was severely affected by a huge fireworks disaster. In the aftermath, Pi de Bruijn was commissioned to rebuild the area. However he did this in a most remarkable way, by reducing his role as an architect and allowing the inhabitants to plan their own future homes and working together with the victims of the catastrophe. This very tactful form of cooperation helped to balance the emotions of many people who had been left very frustrated, hurt and angry at the 'authoritarians' of the city council, who, at least in their opinion, had allowed a storage space for fireworks, including very dangerous gunpowder, to be built in a residential area. Furious and frustrated, there is no other way to describe the feelings of the Enschede victims, families who had lost 23 relatives in a terrible disaster. Architect Pi de Bruijn however, who points out that he has gradually developed into an urban developer, is more than simply an architect, or even a director or coordinator of an architectural rebuilding project. Pi de Bruijn is what one might call, 'an emotional strategist', a magician with architecture, someone who knew exactly how to work together with the victims, municipalities and competitive arcitects who assisted in rebuilding parts of the destroyed area. It would not be such a bad idea to nominate Pi de Bruijn for the Pritzker Architecture Prize, because his rebuilding of the residential area of Roombeek over the past 13 years or so has gained the worldwide attention of the press and television stations. And meanwhile, the area has become a model of diversified and colourful building, both literally and figuratively. But that would be to misjudge Pi de Bruijn, who is modesty personified, because he is not a man of prizes, awards and golden medals. Whether the man, the architect, builder or thinker, Pi de Bruijn, is first and foremost interested in the well-being of other people, and specifically the people he builds for. This is one of his strongest characteristics. Not only did he want to stop the local authorities from demolishing valuable, historic buildings in Enschede, as had happened in the past, thus killing the heart of the city, and its people, he wanted, while safeguarding the past, to give both the former and future residents of this wounded area their self-esteem back. This is clearly no minor factor in a building process. An architect is not just an architect, he also has to anticipate and deal with the feelings and emotions of the residents. "It was clear right from the start that the dramatic impact of the disaster meant that I had to work with the victims. This was their healing process." Pi de Bruijn: "I saw the importance and the whole concept of participation of the residents even before I started. I had had the same experience with other projects. My role was much more than that of a director or even urban planning commissioner. I not only had to design the area and devise the main structures and guide the building process, but also take into account the feelings and wishes of the residents. So I started talking with them. I knew that this interactive way of working together would suit me fine. It may seem a tour de force to work together with so many people and get them all motivated and satisfied. But I was trained in listening to people and giving them a say in things and that helps a lot. Besides, I was born in this area, so I knew it very well. I even speak the language of Twente, the region in the eastern Netherlands in the province of Overijssel. This is not unimportant, because Enschede is a town which is a bit of 'a closed shop', and always a bit suspicous towards outsiders. So it was immediately clear that I had to be very cooperative. And also the dramatic nature of the disaster meant that I really had to work closely together with the victims. There was no question about that. That was the most important thing, to give the victims the opportunity to start their healing process. We took this very seriously we had to help these people to get a grip on their lives again. We also won a prize for the project, the Golden Pyramid Prize in 2007, partly thanks to our high-profile approach. In this context, Peter Kuenzli of the Municipality of Enschede was a very forward-thinking, crucial contact. He is a very insightful urban planner and we stimulated each other. He was a vital, binding factor within the local authorities. He was great, and together, also with my creative assistant Joost van den Hoek, we built up the area again from scratch." 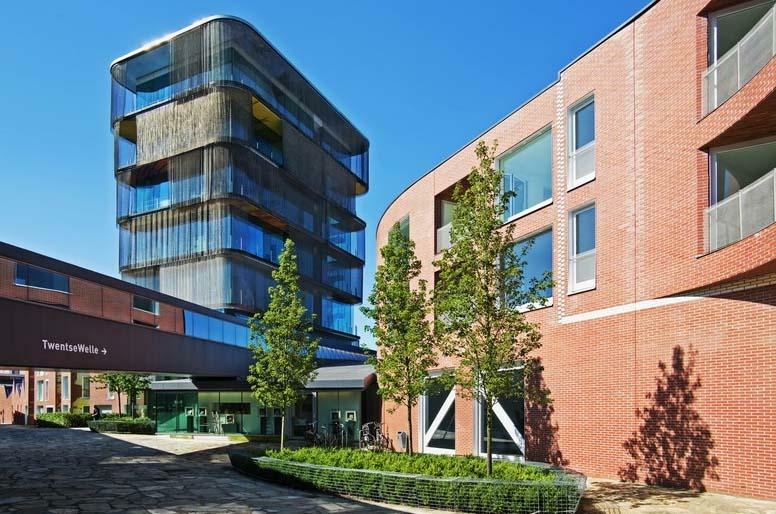 Pi de Bruijn was chosen for the project from 5 different urban planners by the Municipality of Enschede. In late 2000, he started this difficult task by talking to the people who wanted to go back and live in their own area. Pi de Bruijn wanted the residents to have a huge say in 'sculpting' their own environment and designing their own houses. Pi de Bruijn: "Living at Roombeek means living with vitality. The energy of living is tangible here." So he felt socially involved with the people who had suffered terribly from this shocking disaster and chose for reducing his primary role as an architect and to let others join in the design process. Pi de Bruijn: from a modernist to a generalist. The catastrophic fireworks explosion occurred at the SE Fireworks depot in Enschede in 2000. The fire led to a number of enormous explosions which killed 23 people including four firefighters and injured almost 1,000 people. 400 homes were destroyed and some 1,500 buildings were damaged. The biggest blast was felt up to 30 kilometres from the scene. A 40 hectare (100 acres, or 0.4 square kilometre) area around the warehouse was destroyed by the blast. In total 15 streets incinerated and 1,500 homes were damaged, leaving 1,250 people homeless – essentially obliterating the neighbourhood. The biggest explosion could be heard at about 60 kilometres from the warehouse. The residential area of Roombeek that was destroyed by the fireworks disaster has been rebuilt with respect for its history. Characteristic elements of the reconstruction were the major residential participation and the number of private commissions. Even people who were less affluent were given the opportunity to build their own house. After the catastrophe, which included 5 gigantic explosions, was over it soon became clear that the damage was enormous: an entire part of the City of Enschede, consisting of 42 hectares, had been destroyed. Pi de Bruijn: "We decided that there would be both a higher and a lower level of direction. I determined the main structure, with three main axles, the heart of the area, while the houses behind those avenues could be designed by the residents themselves or by local architectural companies. This process of participation has proved to be very productive and successful. Everybody was allowed to have a say and thereby had an influence in the design process. Gradually we regained the self-confidence of the residents. The first step for me was to make clear, without any compromise, that the demolishing of historic buildings would have to stop. I convinced everybody that the remains of the past that had 'survived' the horrible event should stay in place or be maintained one way or another. The City of Enschede has demolished more or less every building that was of historic value and that had to be stopped. It has been a terrible battlefield, many beautiful buildings in the inner city of Enschede have been swept away, with no respect for the past whatsoever. For example, there was a very charming police station in Enschede, but they demolished it. It is a real shame when you see how the authorities have simply bulldozered away their whole history. So there was no more breaking down buildings, offices or houses of historic importance. Furthermore, it was clear to me from the very beginning that we had to create a diverse residential area, with many types of buildings, varying in height, colourful, small and big villas, garden villages, working and living units for starting entrepreneurs, and good accommodation for the young and old. In short, we had to create a living, inspiring ambiance. Quite the opposite of the Bijlmermeer district in Amsterdam. At the time that that was built, we thought it was modernistic to determine everything for every resident, without listening to them. I call that mono-functionality, every building is the same, there is no variation at all." In the process of participation, individuality proved to be an important factor too. Pi de Bruijn: "Every resident wanted to design his own house. I didn't care that much, whether it was a bungalow or a kind of farm-type house as long as the main structure was not disturbed. An area like the Bijlmermeer, where I have lived for 34 years, has proven to be not functional socially. There is no atmosphere, it is 'cold architecture', it doesn't stimulate people to get together. However, in Roombeek the atmosphere is quite different and the people I now meet are very satisfied and thank me for the way we built it." Joost van den Hoek, the assistant of Pi de Bruijn, speaks of "The birth of a new model of urban development", in which there is room for culture and museums. 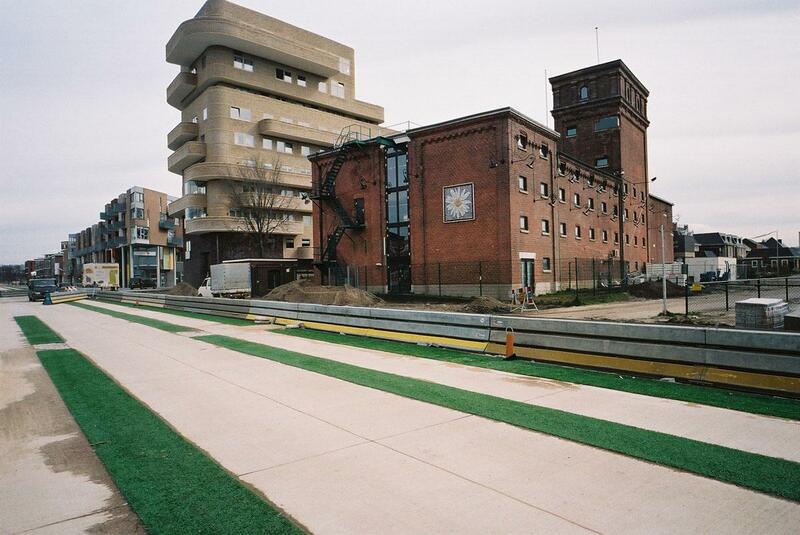 There is even a Museum Avenue and respect for the past by refurbishing the former industrial sites of the Grolsch brewery and the old Menko textile company. The Grolsch factory was completely burnt down. The Grolsch complex has now been transformed into a shopping, working and living area. This has been achieved by the local architectural company IAA. There are currently two shopping centres and apartments. 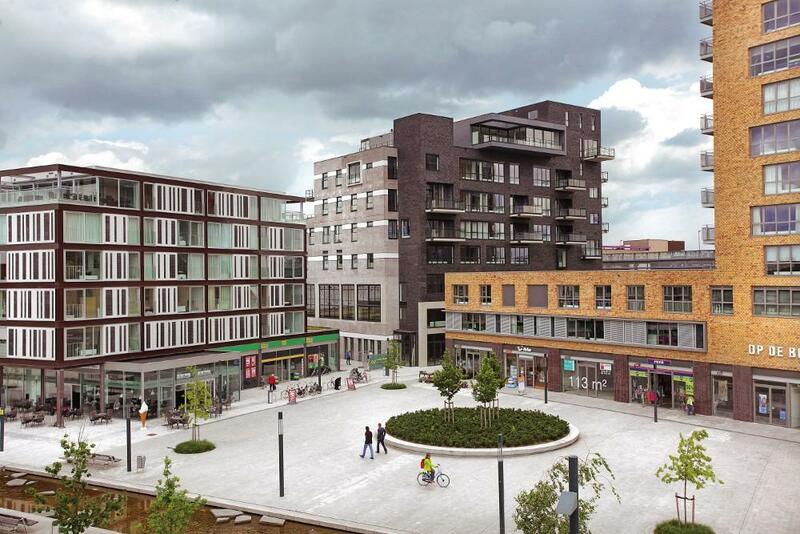 Loof & Van Stigt Architects have also contributed to the rebuilding of the former Grolsch site. The Grolsch brewery was the most important employer in the north of Enschede. Before the firework disaster, it was an important landmark in Roombeek. It was therefore decided to integrate the Grolsch site in the redevelopment plans. The former Grolsch site, with new shopping centres, and apartments and flex offices. "Not only a building process, also a healing process." Thanks to Pi de Bruijn, his assistant Joost van den Hoek and Peter Kuenzli of the Municipality of Enschede, Roombeek has been transformed from a socially depressed area, with unhappy, unemployed and frustrated residents, to a flourishing, colourful district where people can live and breathe again. Pi de Bruijn: "We could not change the dramatic effects of the disaster. What happened, happened. However, we could try and rebuilld Roombeek and give it back its pride and also give its residents their self-esteem back. That was not only a building process, but also healing process. And it worked." 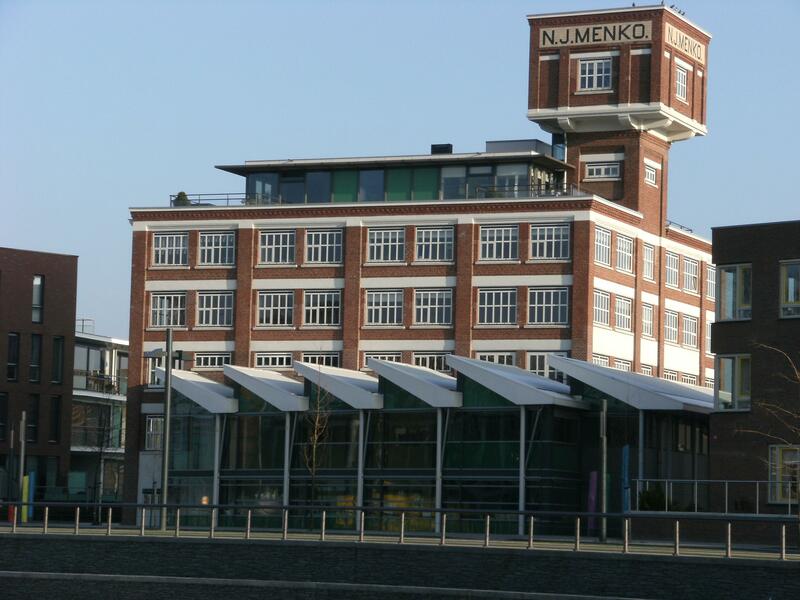 The cotton warehouse of the former textile enterprise Menko had to be renovated, while still preserving it, as far as possible, in its original condition. The assignment was to create eight apartments in the warehouse, each with two floors - one for living and one for work. One of the penthouses would also incorporate the distinctive water tower. The striking glass extension is inspired by the large hall that used to stand at the front of the warehouse and where a part of a primary school was located. Next to the former warehouse is a new apartment complex, built to look visually similar to the old warehouse. Pi de Bruijn (born in 1942 in Losser in the Dutch province of Overijssel), is a leading Dutch architect, who designed the wing of Amsterdam of Amsterdam's Concertgebouw in the 1980s. He has also worked for the housing departments of various towns and cities including Southwark (London) and Amsterdam. At that time, he was involved in the development of Amsterdam's Bijlmermeer district. In 1988, together with Frits van Dongen, Carel Weeber and Jan Dirk Peereboom Voller, he established the architects' practice de Architekten Cie, where he is currently one of the four partners (the others being Rob Hootsmans, Branimir Medic and Pero Puljiz, with associate Oresti Sarafopoulos). Pi de Bruijn was also a professor at the technical univeristy, TU Delft, from 1993 to 1998. His international breakthrough came as the architect of the new building for the 'Tweede Kamer' or the lower house of the Dutch parliament. This was followed by his prize-winning design for the German parliament building, the Rijksdaggebouw, in Berlin, in February 1993. He eventually designed and realized the adjacent part of the Jakob Kaiserhaus, also for the German parliament, the Bundestag. For designing the Beurstraverse in Rotterdam, a sunken shopping street, he was awarded the prestigious annual Dutch construction prize in 1997. 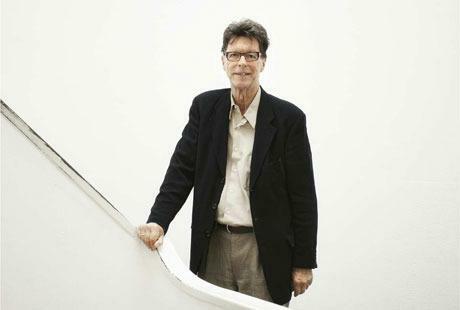 In recognition of his work, Pi de Bruijn has been honoured for his services to architecture by being made an Officer in the Dutch Order of Oranje-Nassau.